Should You Do ARC Reviews? 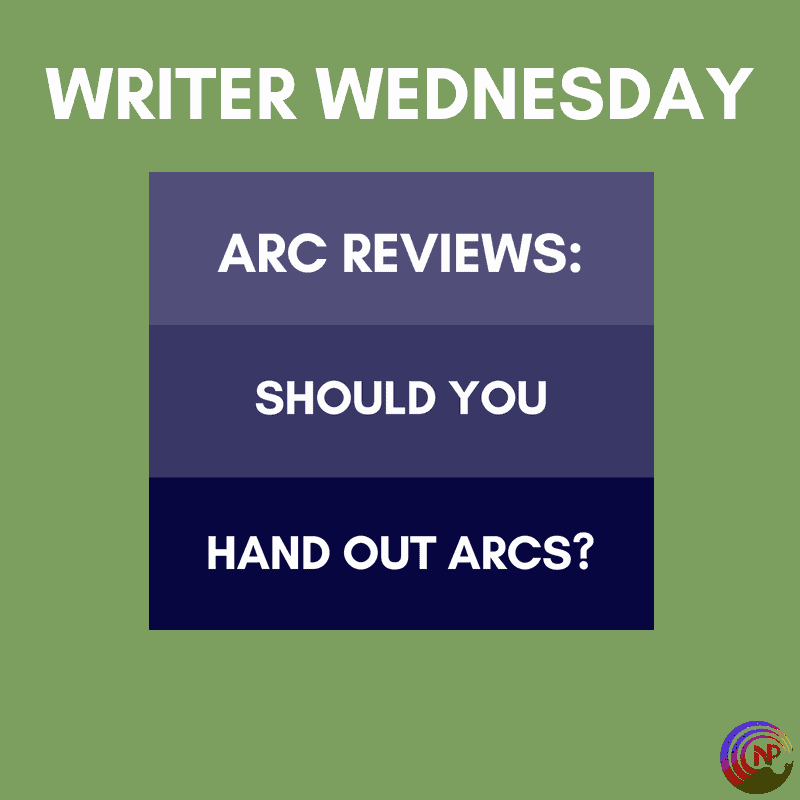 One of the things many authors struggle with is the question whether to do ARC reviews. If that term is new to you, ARC stands for advanced reader copy, and it simply means that you distribute a copy of your book before the official release date to a small group of readers. The idea is that they will read the book before release and then publish a review shortly after publication date. A year ago, I would’ve answered this question with a wholehearted yes, but a lot has changed. I still do ARC reviews, but it’s not as straightforward and simple as it used to be. That’s mainly because of Amazon, which has tightened its guidelines on what it will allow in reviews and the reviewing process, especially considering ARCs. But let’s talk about the key concept behind ARCs in the first place. The reason why authors distribute ARCs is because they want reviews, and they want them as quickly as possible after their book has been released. Reviews not only help other readers decide to buy or read your book, but they’re also important in Amazon’s algorithms. There are no hard data, but the common wisdom is that Amazon requires a certain number of reviews before it starts organically recommending your book to readers. That’s, of course, a power we all want to make use of. A third reason why reviews are important is because some promotional services require a certain number of reviews before they will list your book. In short, reviews matter and especially on Amazon. One strategy to get reviews fast has been to distribute advanced copies to readers who would then leave a review. Lately, that strategy has become more and more complicated because of changes and how Amazon works. For all the specific details, you’ll need to read Amazons terms of service and guidelines regarding reviews, but let’s focus on a couple of really important issues. The first is that you can’t technically demand a review when you distribute an ARC. You can kindly ask for one, but readers are under no obligation to review the book you’ve given to them. That’s because Amazon doesn’t want any gifts to be exchanged in return for a review, and recently, they’ve really started to enforce that rule. That means that you can still distribute ARCs, you just have to be careful in how you word it and how you approach your readers. I used to tell my readers they had to review the previous book in a series and show me a link to the review before I would send them the next one. That has now become a gray area, even though I still see other authors do it. I also used to give away paperbacks as a giveaway-prize amongst people who could show me proof of a review, but that’s now strictly against Amazons guidelines as well. You can’t offer any kind of reward or enticements to review, so you’ll have to walk that line carefully or run the risk of not only getting your reviews yanked from Amazon, but your book and even your whole KDP account. The thing is that once you’re better known as an author, these ARC reviews become a little less important, because you can count on getting enough reviews in release week anyway. But for newer authors, every review counts, and that means that sending a book out to people who may not even bother to review it is a heart pill to swallow. I get that, but unfortunately, it’s a risk you’ll have to take. A second issue is that more and more readers are reporting problems with posting reviews on Amazon. For some, the minimum of fifty dollars they have to spend in a year in order to be able to post reviews is a problem. For others, Amazon has decided they are biased against an author and are blocked from posting reviews for that author or even for any author. So far, no one has been able to prove how Amazon determines this bias against a certain author. It’s become a problem, because some readers have their reviews deleted from Amazon entirely and are no longer able to post reviews at all. This means that even if a reader accepts your ARC and reads it, it still doesn’t mean they can leave a review with Amazon. There’s also been a lot of debate about whether readers should mention in their reviews if the book they’ve read is an advance copy or not. One thing is clear: they should not mention the phrasing “in exchange for” or anything similar. That would trigger Amazon into believing the review has been paid for in some way. Instead, if the reader wants to mention it was an ARC, stating something along the lines of “I voluntarily read this ARC” is probably the safest way to go. Amazon has also cracked down on the number of unverified reviews people are allowed to do, limiting it to five per week. Officially. Some readers report they have no issue posting more, others have problems posting reviews even of verified purchases. By the way, a verified purchase means the reader actually bought the book through Amazon. Unfortunately and for reasons that pass my understanding, Kindle Unlimited reads do not count as a verified purchase. Amazon has changed the way it shows reviews to give a more prominent place to the verified reviews, so those will be the most important. And of course, most ARC readers will not buy the book, meaning their reviews will not be verified purchases. The last thing I want to mention is the risk of piracy, which has deterred some authors into distributing ARCs in the first place. This is a legitimate concern. 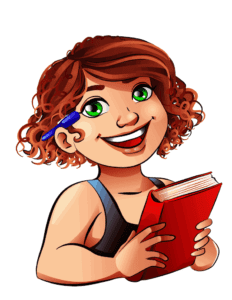 I recently read an article by a well-known young adult fiction writer who explained that once she had stopped handing out ARCs, piracy on her books had gone down considerably, and her sales were way up. The sad reality is that piracy is a huge, huge problem for many authors, including for self-published ones. Unfortunately, not distributing ARCs doesn’t prevent piracy. It may make it a little more difficult, but it’s no guarantee your books won’t get pirated. After all this, the question is whether or not you should send out ARCs. My gut feeling is that it is still worth it, especially if you’re a new or beginning author. ARCs also help to get the word out about your books. Readers may not just post a review on Amazon or Goodreads, but also start recommending your books to friends or in reader groups on Facebook. That’s the best publicity you can ask for, and it doesn’t happen if no one has read your book. I understand that financially, handing out free books seems like a really bad strategy. Trust me, I’ve been there. But if no one knows about your books, handing them out for free is still better than selling only a few. You have to get the word out and trust that those people will love your book, will be willing to pay for the next one. I usually hand out about thirty to thirty-five ARCs to readers and another twenty or so to blogs who have offered to review it. Yes, that’s a loss of about fifty sales, but I’m fine with that. Blogs don’t buy the books in the first place and they provide excellent publicity, and by now, ARCs have also kind of become a reward for some of my most loyal readers. And I’m always amazed that a good portion of my ARC readers still buys the book after release, even though they’ve gotten an ARC for free from me. I hope this has answered some of the most common questions I get asked about ARCs. If you have any remaining questions, hit me up in the comments. I’m a reader and greatly appreciate receiving ARC’s but it’s really interesting to read the opinion of an author, especially with the crappy way Amazon is treating authors and readers alike regarding reviews atm. You’re welcome! And I super appreciate readers like you who always leave reviews. I appreciated seeing your thoughts on this topic. There are still authors who will contact us and asked us to provide a link to our review. That makes me extremely uncomfortable because it’s difficult to give a fair, honest, objective review if you then have to provide to the author. There’s an underlying feeling that future advanced copies depend on the results of the review. Yeah, I totally understand that. To be honest, as I said in the post, I used to ask ARC readers to prove their review to me. I’ve never denied someone the next book if the review was negative, though, and I’ve always been super clear that I’m asking for an HONEST review. But yes, I think we as authors (including me) could still allow more room for reviewers to do their work instead of asking for proof or something. I am an ARC reader, but still usually buy the books. Not just to “speed up” my review(s) being posted by Amazon, but mainly to support the author. I know that every book sale helps, & I don’t want to take advantage of an author, then have them stop writing since they can no longer afford it. I read a lot of ARCs because I am chronically ill and unemployed. I have never let that bias me into a more favorable review. I am a tough reviewer and sometimes authors don’t want to give me an ARC based on my reviews on Goodreads and Amazon–not because I am less than professional, but because I don’t give five stars to everybody, and I will let people know if you didn’t spend money on an editor. Kobo allows you to review a few books you have not bought there, but Smashwords does not. I also get some ARCs from Net Galley and their smaller competitor whose name escapes me right now. Most publishers won’t let me review because I don’t have over 500 followers on a blog. I am increasingly uncomfortable with Amazon’s near monopoly on a proprietary format. I am trying to be better at cross reviewing at Kobo, Smashwords, and the publishers. If we only review at Amazon, we are perpetuating the monopoly. I would like authors to start providing all the links in their newsletters–not just Amazon because they get a kickback–that is the same for review websites. I know they make money when people click on the Amazon link from their review site to buy the book, but this is all a way to put small publishers out a business. I think if that happens, we will all regret it. My final word about ARCs is, don’t be lazy. Watermark them if you are worried about piracy. Bookfunnel, Instafreebie, and Net Galley all put my name/email in the book when I receive it. Yes, I understand that is a lot of work for an author who is self publishing and doing it all on their own–but that is the cost of doing business. It is necessary. Honestly, I’ve heard of people getting their Amazon accounts deleted because Amazon decided something was wrong with whatever they did in their review, and now I’m incredibly scared to review on Amazon. I would never take an ARC and not review on GoodReads, but on Amazon? Freaking scary. Nora, thanks for this. I am new to self publishing and am so grateful for authors like you who take the time to share their experiences and learnings. Reviews are so valuable, and I have been debating whether to do ARCs or not. I was not aware of Amazon’s unpredictable policies regarding reviews. 1. How far in advance of your release date do you send out ARCs? Or do you send them out on or after release day? 2. You mention sending out ARCs to 30-35 readers and a few blogs. I am assuming you have built relationships with them over time? Do you ever send out ARCs to readers whom you don’t know (i.e. via a service like NetGalley)? 3. After the whole ARC thing is done and your book has a couple dozen reviews lets say, do you continue to focus on reviews? If so, how do you keep ’em coming? If not, what do you focus on? Previous Previous post: Beta’s Surrender is Live!